Dauphin Island, Alabama is three miles south of Mobile Bay in the Gulf of Mexico. 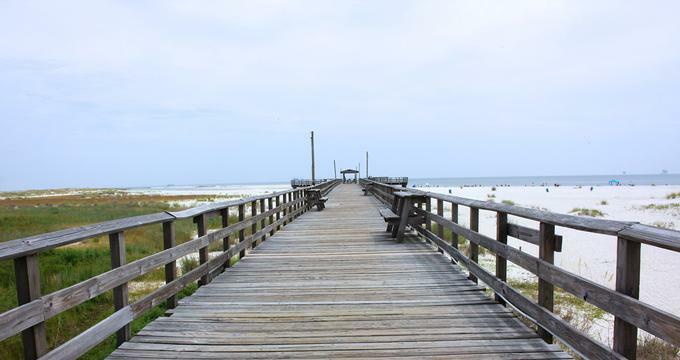 Dauphin Island is known as a prime place for relaxing and having fun with family and friends. Dauphin Island's beaches, with their fine white sands and clear blue water, are considered some of the best in the state. Dauphin Island, Alabama, is easy to access since it is connected to the mainland by a bridge, and ferries regularly transport commuters and tourists between Dauphin Island and mainland communities. Plan a relaxing weekend getaway from Birmingham, Montgomery, Huntsville, Gadsden, Florence, Mobile and other cities. Dauphin Island Public Beach showcases some of the island's most beautiful landscapes. In addition to the beach itself, visitors can enjoy a variety of nearby trails, parks, and historical exhibits. Dauphin Island Public Beach is unique among beaches in the area since it is pet-friendly. In an effort to protect the fragile environment, visitors are asked to pay fees between $2 and $5 for access to the beach and surrounding facilities during the high season. Dauphin Island Public Beach is open daily year-round from 8 AM to 6 PM. The Estuarium, also known as the Dauphin Island Sea Lab, is home to more than 100 forms of aquatic life. 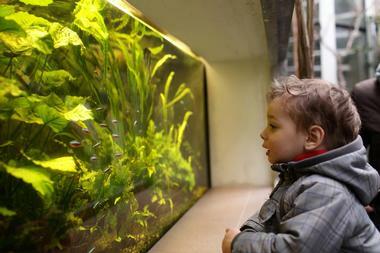 The 10,000 square foot exhibit facility contains upwards of 30 aquariums. Each aquarium focuses on a unique aspect of the Mobile Bay Estuary, an area that is considered to be the fourth largest estuary system in the United States. The Estuarium also offers organized tours and educational materials for school groups. Boardwalk Talks, a series of seminars aimed at helping people understand the ecology of the Mobile Bay Estuary, take place twice a month. These educational seminars are free to the public. Fort Gaines, which sits on the eastern tip of Dauphin Island, has protected the entrance of Mobile Bay for more than 150 years. Due to its location near the shoreline, Fort Gaines has endured years of erosion from water, winds, and inclement weather. It is on the list of America's most endangered historical sites. Aside from the fort itself, the area contains a blacksmith shop, a museum, and a gift shop. Visitors can explore the well-preserved tunnels that connect various parts of the fort. Fort Gaines is open year-round with the exception of certain holidays. The Mobile Bay Ferry connects Dauphin Island to Fort Morgan, Alabama. In addition to shaving hours off of travel time between these two points, the ferry ride, which takes approximately 40 minutes, offers spectacular views of Mobile Bay. The Audubon Bird Sanctuary is the prime area for spotting birds as they travel to and from Central and South America. 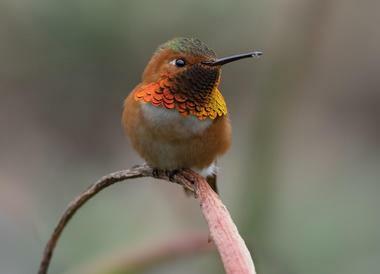 Dauphin Island is among the top four spots in all of North America for viewing bird migrations in the spring, and researchers have learned that more than 95 percent of Alabama's bird species have passed through Dauphin Island at one point or another. Shell Mound Park is one of the most well preserved archaeological sites in the American south. The mounds in Shell Mound Park are believed to be the remnants of seafood meals consumed by Native Americans between AD 1100-AD 1550. Archaeological evidence suggests that the mounds were formed during the winter when Native Americans would travel to Dauphin Island from nearby Bottle Creek to cook oysters together. The state of Alabama has gone to great lengths to protect the mounds because of their historical significance, so they are still clearly visible today. Dauphin Island visitors can easily access Shell Mound Park for free to get a glimpse into the area's special past. Action Outdoors provides boat trips through the waters that surround Dauphin Island, and private boat rides, birthday parties, and bay fishing trips are also available through Action Outdoors. In addition to giving tours, Action Outdoors organizes field trips that include educational materials for teachers. The field trip and related curriculum provides students of all ages with an in-depth look at bay ecosystems. Action Outdoors boat trips are available from Memorial Day through Labor Day. The Dauphin Island Heritage and Arts Council (DIHAC) works to promote and preserve various forms of art in the Dauphin Island community. Painting classes and art fundraisers are the main vehicles that DIHAC uses to help Dauphin Island's residents and visitors understand the value of art. 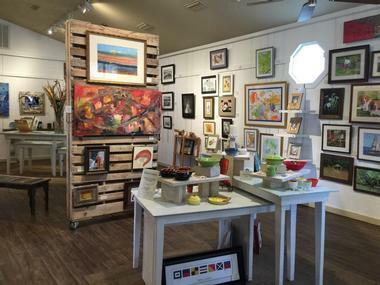 The council also manages a gallery that features works from local artists. The establishment strives to support community theater, musical productions, and local art contest, and. DIHAC has built of a network of art supporters through its membership program. People who are interested in joining DIHAC can apply for membership through the DIHAC website. The Dauphin Island Marina sits at the base of Dauphin Island Bridge between the Intracoastal Waterway and Mobile Bay. The full-service marina has an assortment of amenities, including fuel and oil for boats, an area for boat maintenance and storage, restrooms with showers, and a restaurant. People who are interested in going fishing near Dauphin Island can contact the marina to join in on chartered fishing trips. The Marina also provides kayak, standup paddleboard, and pontoon boat rentals for visitors who want to see dolphins and spot wildlife. Rentals are available on a 2-hour, 4-hour, or all-day basis. 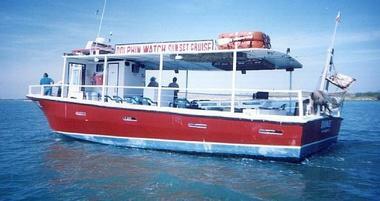 FinAtics Fishing Charters organizes fishing trips in the Dauphin Island area for individuals, families, and groups. 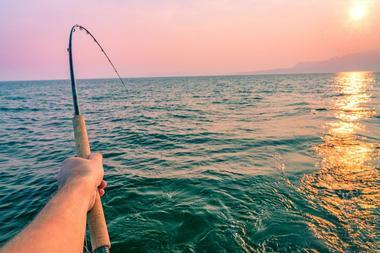 The chartered trip rates include the cost of renting a fishing rod, reels, tackle, bait, and other supplies. Trips typically last between four and six hours, and guests are allowed to keep anything they catch. The departure point for the chartered trips varies depending on the time of the year. In the summer guests leave from Dauphin Island, and as the weather cools down the trips are moved farther inland toward Mobile Bay. The chartered trips are open to beginners, advanced fisherman, and everyone in between.